The Thane Lok Sabha constituency will have the second highest number of 2,542 polling booths, followed by Baramati- 2,372, Ramtek-2,364 and Beed-2,325. A total of 97,640 polling booths will be set up in Maharashtra. 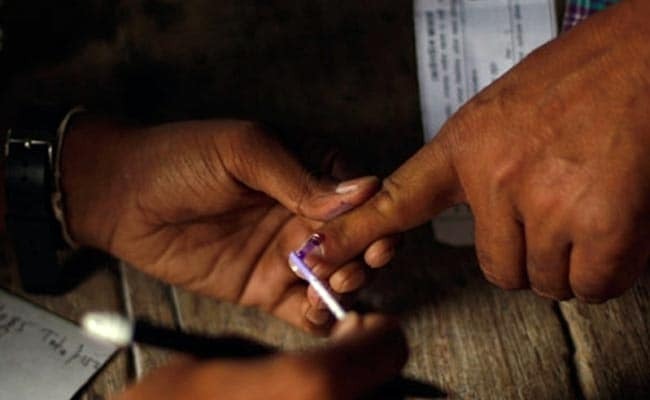 More than half-a-dozen Lok Sabha seats in Maharashtra will have over 2,000 polling booths, with the Maval constituency in Pune district set to have maximum 2,504 booths, according to official data. A total of 97,640 polling booths will be set up in the state, where the Lok Sabha elections to total 48 seats will be held in four phases on April 11, 18, 23 and 29, as per figures provided by the election office in Mumbai. Besides, Satara will have 2,296 polling booths, YavatmalWashim -2,206, Chandrapur-2,193, Bhandara-2,184, Raigad-2,179, Parbhani-2,174, Palghar-2,170, Kolhapur-2,148 and Osmanabad-2,127. Satara and Shirur Lok Sabha constituencies will have 2,296 polling booths each. The Mumbai-South Central Lok Sabha seat will have the least number of 1,572 polling booths. The Mumbai-South seat will have 1,578 booths, Mumbai-North 1,715, and Mumbai-North East and Mumbai-North West 1,721 each. There will be 56,227 polling booths in rural areas and 41,413 in the urban areas. Maharashtra will go to polls in four phases, starting April 11, when voting will be held in seven constituencies - Wardha, Ramtek, Nagpur, Bhandara-Gondia, Gadchiroli-Chimud, Chandrapur and Yavatmal-Washim. The second phase of polling will be held on April 18 in 10 constituencies - Buldhana, Akola, Amravati, Hingoli, Nanded, Parbhani, Beed, Osmanabad, Latur and Solapur. On April 23, the third phase of polling will be held in 14 constituencies - Jalgaon, Raver, Jalna, Aurangabad, Raigad, Pune, Baramati, Ahmednagar, Madha, Sangli, Satara, Ratnagiri-Sindhudurg, Kolhapur and Hatkanangle. The fourth phase of polling will be held on April 29 in 17 seats - Nandurbar, Dhule, Dindori, Nashik, Palghar, Bhivandi, Kalyan, Thane, Mumbai-North, Mumbai-North West, Mumbai-North East, Mumbai-North Central, Mumbai-South, Mumbai-South Central, Maval, Shirur and Shirdi. In the 2014 Lok Sabha elections, the NDA won 41 seats, NCP- four, Congress - two and Swabhimani Shetkari Sanghatna - one seat.